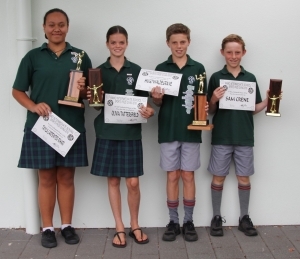 Jackson West, Max Diamond, Ngarimu Besselink and Rihley Svenson. 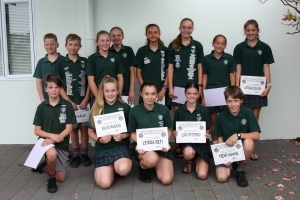 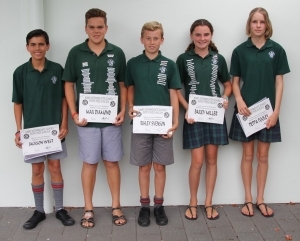 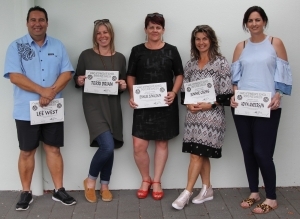 Abbie Cathcart, Alexus Gorrie-Brown, Benjamin Neill, Ceirra Reti, Chelsea Traill, Finn Kallu, Holly Trigg, Jamie Rapana, Katisha Douglas, Kaylie Nicholas, Nathan Vendt, Olivia Tattersfield, Trent Hawke and Tylar Mckenzie. 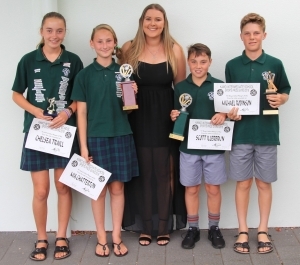 Bailey Miller, Cameron Smith, Nevaeh Armstrong-Foy and Peppa Pooley. 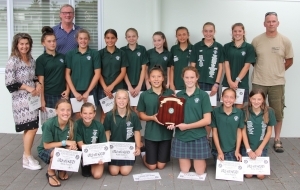 Year 7 Girl Finalists – Georgia Cross, Lily-Mae Smith and Olivia Tattersfield. 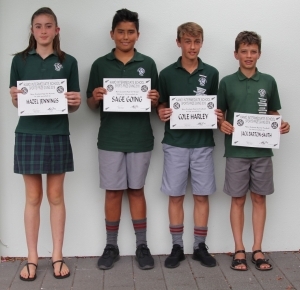 Year 7 Boy Finalists – Blake Hay, Jack Saunders, Nico Healey and Zane Brown. 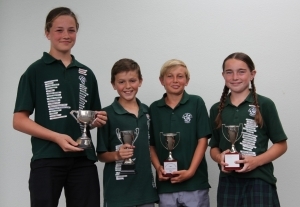 Year 8 Girl Finalists – Fransune Fourie, Jade Walker and Mikaya Kaipo. 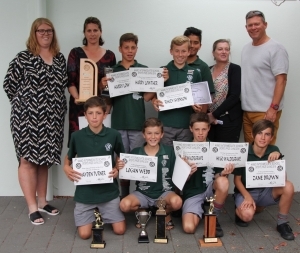 Year 8 Boy Finalists – Billy Keene, Logan Webb, Max Diamond and Tynan van der Veer. 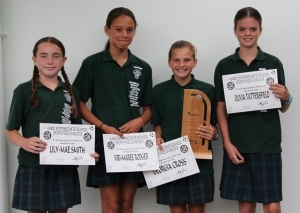 Year 7 Girl Finalists – Kiri-Maree Rodger, Georgia Cross, Lily-Mae Smith and Olivia Tattersfield. 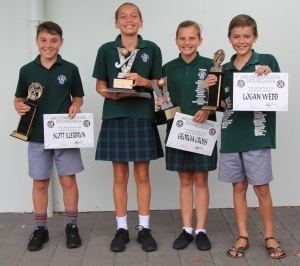 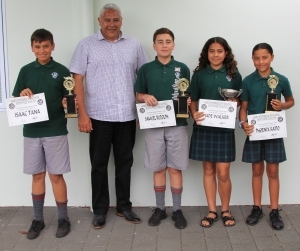 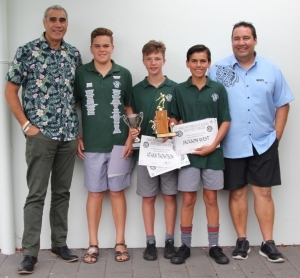 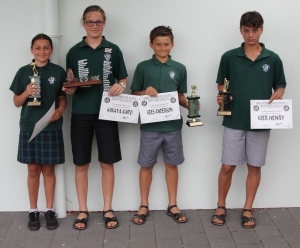 Year 7 Boy Finalists – Athan Thompson, James Cunningham, Luke Himiona, Scott Illerbrun and Tiaki Henry. 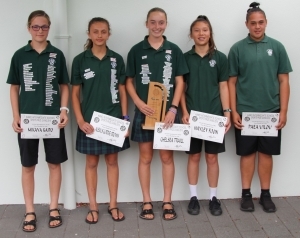 Year 8 Girl Finalists – Alexus Gorrie-Brown, Chelsea Traill, Hayley Foon, Mikaya Kaipo and Paea Uilou. 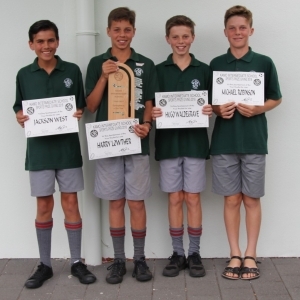 Year 8 Boy Finalists – Harry Lowther, Hugo Waldegrave, Jackson West and Michael Robinson. 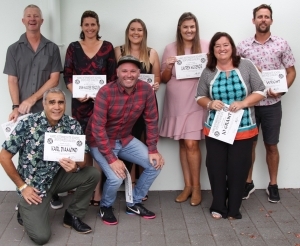 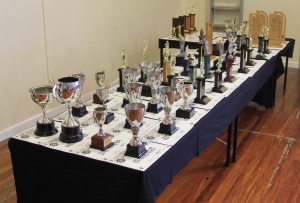 Team: Alexi Healey, Alexus Gorrie-Brown, Amy Martin, Chelsea Traill, Ella Currie, Georgia Cross, Hayley Foon (cc), Holly Trigg, Jamie Rapana, Kate Illerbrun, Katisha Douglas, Kylah Mccallum, Lauren Storey (cc), Lilly Swanson, Mia Diamond and Nikita Forsyth.